Cruickshank, David A.. "Calder Case". The Canadian Encyclopedia, 21 March 2018, Historica Canada. https://www.thecanadianencyclopedia.ca/en/article/calder-case. Accessed 21 April 2019. White settlement in British Columbia throughout the 1800s and early 1900s pushed many Indigenous peoples, including the Nisga’a, off of their traditional territories and onto reserves, without, in most cases, their consent or a treaty offering them goods or money in return for access to their lands. The Nisga’a therefore claimed that their rights to traditional lands — which had been established by the Royal Proclamation in 1763 — had been ignored. In 1887, Nisga’a chiefs took their demands for rights recognition to the premier of British Columbia in Victoria. Unimpressed by the outcome of the meeting, the Nisga’a formed their first land committee in 1890 to resolve the ongoing dispute. The Nisga’a Land Committee’s first action was in 1913, when it petitioned the Privy Council in England, asking it to negotiate a treaty with the Nisga’a, award them self-government and find a resolution to the dispute over land title. Despite their efforts, the Privy Council never heard their petition. Born in 1915, shortly after the Nisga’a Land Committee had submitted their demands to the Privy Council, Frank Calder — the son of a Nisga’a hereditary chief — grew up hearing about the disputes over Aboriginal title. However, Indigenous peoples’ right to organize politically about these disputes and to hire legal counsel to resolve land claims was prohibited in 1927 by the Government of Canada. It was therefore illegal for the Nisga’a to pursue their claim. This did not stop them, however. Calder, in particular, became important to the resolution of this issue. After going to school, first to the Coqualeetza Residential School, and later to go the University of British Columbia (where he became the first Status Indian to go to that university), Calder went into politics. He also became the first Indigenous person elected to a Canadian legislature during the 1949 general election in British Columbia. It was shortly after his election that Calder began working towards reopening his people’s land claim dispute with the province. In 1955, Calder served as president of the newly created Nisga’a Tribal Council — a modern version of the old Nisga’a Land Committee. It was no longer illegal for Indigenous peoples to organize politically and to pursue land claims, but the process wasn’t any easier. In 1969, Prime Minister Pierre Elliot Trudeau’s White Paper denied the concept that Indigenous people had inherent rights, including land title rights, and attempted to eliminate any special status for Indians. While the White Paper ultimately failed due to the strong opposition of many Indigenous peoples, the Nisga’a continued their fight in the courts. Calder asked lawyer Thomas Berger to represent his people in a court case against the provincial government about the land question. In 1967, the Calder case was launched, and went to trial two years later. 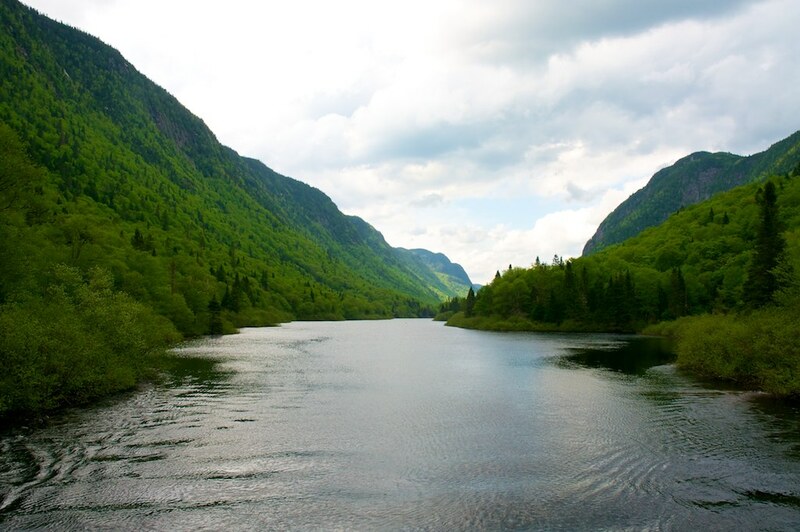 In the Calder case, the Nisga’a Tribal Council asked the Supreme Court of British Columbia to recognize that their title to lands in and around the Nass River Valley had “never been lawfully extinguished.” The case was dismissed at trial. The Nisga’a Tribal Council then took the case to the Court of Appeal of British Columbia, but that court dismissed it as well. The next course of action was to take their case to the Supreme Court of Canada. On 31 January 1973, the court released its judgement. Six out of seven judges ruled that Aboriginal title existed in Canadian law. However, six of the judges were split evenly on the validity of the Nisga’a claim: three argued that Nisga’a title had been extinguished by land laws made before British Columbia entered Confederation; the other three disagreed, declaring that the right was never extinguished (i.e., surrendered) by statute or treaty, which is what the Nisga’a had argued. The seventh judge, Justice Pigeon, tipped the balance against the Nisga’a on a procedural point — that the Nisga’a had failed to obtain permission to sue the Government of British Columbia from the attorney general. Therefore, the Nisga’a lost based on a technicality, but the case served as a catalyst for change, concerning the recognition of Indigenous rights in Canadian law. The Calder case had some important implications on Canadian law. The most significant outcome was the Supreme Court’s recognition of Aboriginal title as a legal right based on occupation of traditional territories. The Supreme Court’s ruling was contrary to the 1969 White Paper and earlier rulings by the British Columbia Court. 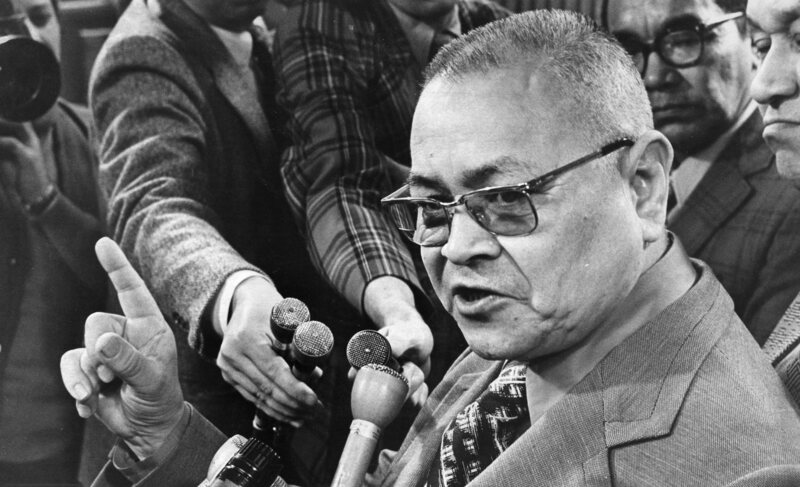 As a result of the Calder case, the federal government released a policy on comprehensive land claims in August 1973 and started negotiation with the Nisga’a Tribal Council in 1976. In 1989, the two parties signed a framework agreement that outlined the process, topics and scope of the negotiations. The BC government joined the negotiations in 1990 and signed a new framework agreement with the federal government and the Nisga’a Tribal Council. Negotiations continued, and in 1996, the three parties announced they had come to an agreement-in-principle — the second-last step in the modern treaty process. For the next two years, the three parties negotiated a final agreement, which became the Nisga’a Treaty. It was approved and signed on 27 April 1999. However, it wasn’t until after British Columbia and the federal government passed legislation to ratify the treaty in the spring of 2000 that the Nisga’a achieved self-government. The deal put the nation in control of about 2,000 km2 of their ancestral territory. The Nisga’a Treaty is the first modern-day treaty in BC, and it served as a model for many First Nations seeking self-government and modern treaties in Canada. Calder also influenced the inclusion of Aboriginal rights in section 35 of the Constitution Act, 1982. Court cases about Aboriginal rights that followed Calder were similarly influenced by the 1973 judgement. In R. v. Van der Peet (1996), the Supreme Court of Canada affirmed the “special” and “constitutional status” of the Indigenous peoples in Canada. The 1997 Delgamuukw v. British Columbia case further explored the definition, content and extent of Aboriginal title, first brought up in the Calder case. Michael Asch, “From Calder to Van der Peet: Aboriginal Rights and Canadian Law, 1973-96,” in Indigenous Peoples’ Rights in Australia, Canada, & New Zealand (1999).